HomeMusic VideosNEWS: Blood Youth think you’re “Spineless”! NEWS: Blood Youth think you’re “Spineless”! 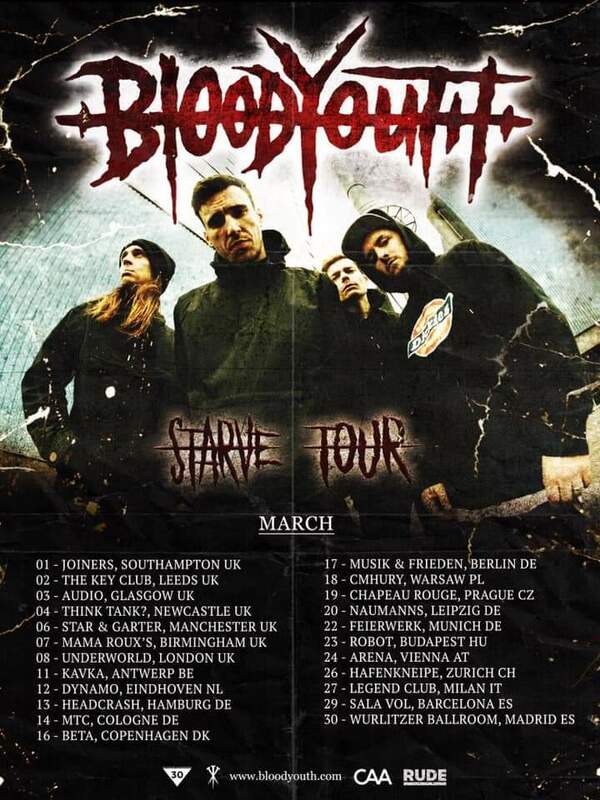 Not that long to go before “Starve”, the new album from Rude Records signing Blood Youth appears on 22nd February. The Nu-Metal quartet will be joined by Palm Reader and Lotus Eater for their release tour that kicks off on 1st March in Southampton. Pre-orders for the album are available here. Getting you warmed up for the shows, they’ve put out a music video for “Spineless”. NEWS: Ghost Iris aren’t “The Devil’s Plaything”! NEWS: Extinction A.D. streaming “The Onslaught”!